It seems like only yesterday when Steve and Margie Tucker moved into their new home at Wagamons West Shore in Milton, Delaware. Actually, it was February 2015, about 6 months after they sold their home in New Jersey and relocated to Delaware. The Tuckers decided new construction was what they wanted. Here, at Active Adults Realty, we went to work and found them a home to rent while their new home was under construction. 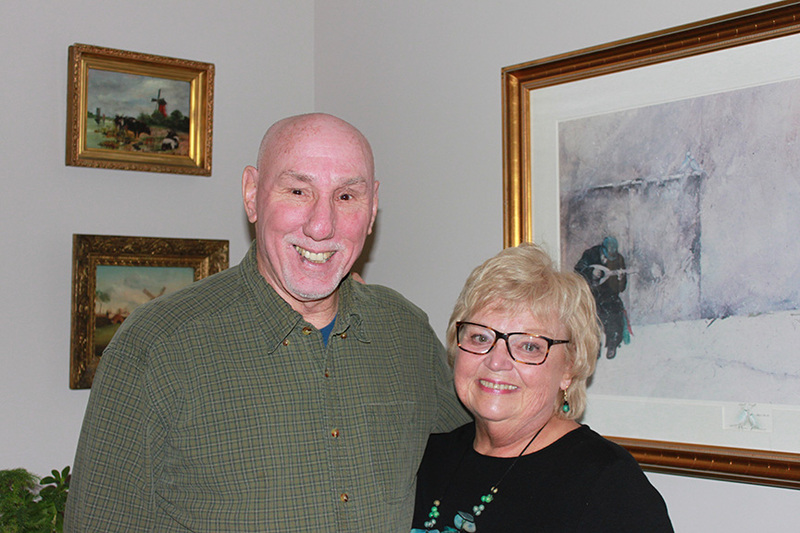 Steve and Margie planned their retirement and relocation like pros. They first got in touch with us in November of 2013 after having read our blog and subscribing to our email newsletters— they did their initial research even before we first got together. Like many in their situation, they inquired about one of our 55+ communities and we did spend some time looking at those options. They were impressed by the amenities, but in the end, found living near a town like Milton and being much closer to the beach towns of Lewes and Rehoboth provided all the amenities they needed. A road trip to see the U.S. They fell in love with the town of Milton because of its energy, its variety of year-round activities and events, the growing number of restaurants and businesses along with The Milton Theatre. It’s a bit off the beaten track allowing them to avoid the seasonal traffic and vacationers. Wagamons offers a variety of home styles and mature landscaping. The Tuckers realized they preferred no age restriction and enjoy having young families in the neighborhood. Before retiring, they lived in Voorhees, New Jersey. Margie taught Kindergarten and Steve was a Civil Service Logistician. They raised three children, one of whom still lives in South Jersey. The other two children and three grandchildren live in Denver, Colorado. What do they do with their tax savings? You guessed it; they get to visit their family in Colorado several times a year! Their busy careers did not leave much free time but now they enjoy doing things together like traveling and giving back to the community. They volunteer with the Milton Food Pantry and they also serve a monthly home-cooked dinner to the residents of the Home of the Brave in Milford. Margie enjoys anything crafty, genealogy, and Boomer yoga. She joined the Col. David Hall Chapter of the Daughters of the American Revolution and is a chairperson of the Service to Veterans Committee. Margie also joined the Milton Garden Club and helps keep the streets of Milton beautifully arrayed with seasonal color. Steve likes to play golf. He was able to join a group of men from the neighborhood playing often at The Rookery. Steve also enjoys talking politics and cooking meals for family and friends. We are so glad Steve and Margie Tucker chose Delaware. When you see how busy they are with their full lives, I think you will see there is plenty to do here in Coastal Delaware when you retire. It was our pleasure to work with them to place them in their dream home and we would be honored to work beside you to find your dream home. Contact us to schedule a time to talk about your housing dreams.